SALT LAKE CITY, Sept. 10, 2015 /PRNewswire/ — ASEA, an emerging global leader in cellular health, has been recognized by Utah Business magazine as the 12th fastest-growing company in the state of Utah. The Fast 50 program highlights the 50 fastest-growing companies in Utah based on their entrepreneurial spirit, innovative business tactics and skyrocketing revenue growth. Sustaining the momentum, this Fast 50 honor follows ASEA’s recognition by Direct Selling News on its DSN Global 100, an exclusive ranking of the top global revenue-generating companies in direct selling. Additionally, ASEA was ranked 49th in Direct Selling News’ North America 50, recognizing the most significant direct selling companies in North America. “In just five years, we have built a strong, sustainable business, both nationally and internationally. We look forward to ASEA’s promising future,” said Funke. 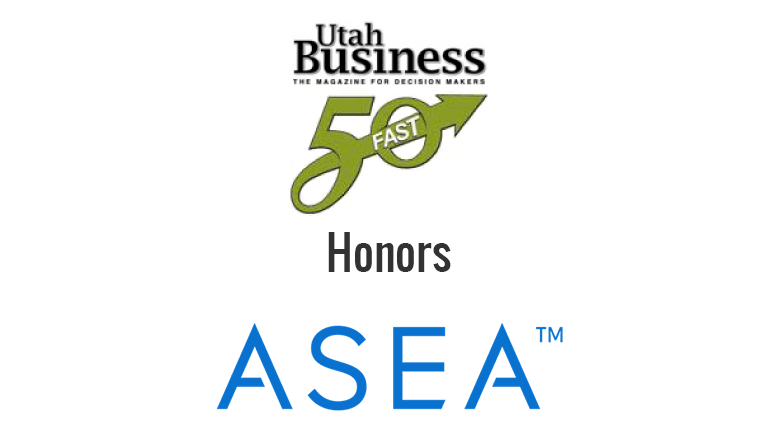 Be the first to comment on "Utah Business Magazine’s Fast 50 Honors ASEA"